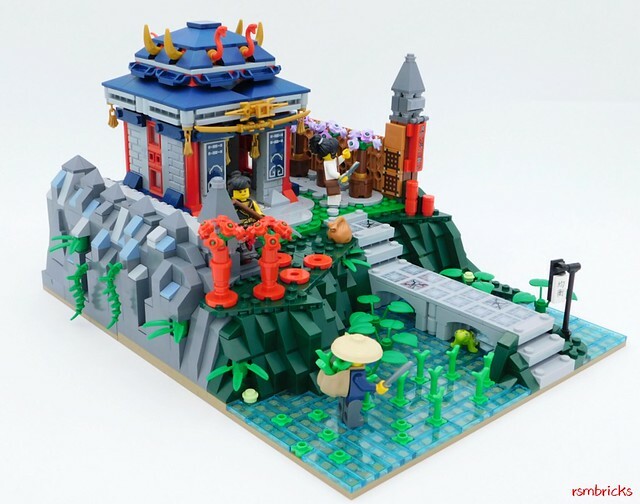 This peaceful temple with a charming landscape by rsmbricks depicts the daily labor that goes with maintaining an ancient temple. The use of vibrant reds and blues makes this relatively small scene very interesting and the roof has some intriguing techniques as well. But wait... Are those stickers! How could they!?! Calm down everyone, put your torches and pitchforks down. Stickers aren't always bad (most of the time). I personally think that the stickers create a layer of depth and detail that really brings this build together.